Skiing is an expensive holiday. There’s no way I can afford such a lavish trip on a tight budget with family or friends to bring along. It’s just not possible, right? Wrong! 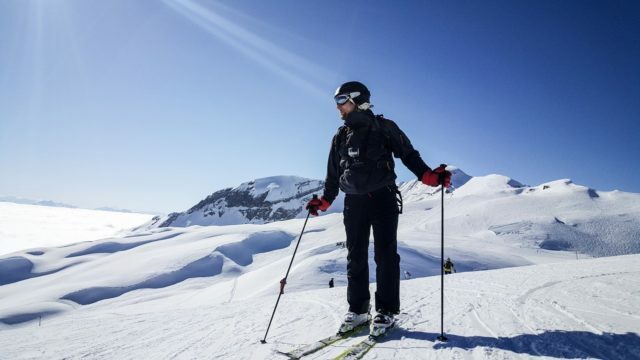 Cracking out the skis and carving up the slopes shouldn’t have to break the bank, and there are plenty of ways you can cut the cost and get yourself that much-deserved holiday. From picking the right time of year to getting the right transport, we’ve thought of everything. Here are our top tips for a bargain ski break. It may seem obvious, but there’s nothing as important as travelling off peak for better prices! Stay away from the mainstream crowds and avoid the peak skiing months. You’ll keep your costs down, endure less queues, and won’t come home with an empty bank account. You should be the one feeling tired after a day out on the slopes, not your wallet! We recommend looking for your fix in January or March. The mountain sides are quieter as the school rushes, festivities and general bustle tent to be reserved for Christmas and February. Plus, with all that extra space, you’re free to make a fool of yourself trying to do tricks. Sure, arranging a skiing holiday with a large group may have its fair share of challenges. You may not want to sit next to that irritating uncle on the plane or respond to his various WhatsApp queries, but somebody has to do it, right? Communication issues aside, organising a party to take with you on your travels has plenty of upsides. Not only will you be saving precious cash by splitting the costs, but you’ll have lots of faces to share the fun with. Make sure to book self-catered accommodation and collectively pay for your supermarket meals – you’ll save significantly compared to those hefty hotel prices. Renting out equipment and ski lift passes can often be cheaper with groups too, so look out for all-important discounts. It’s one of the biggest reasons for skiing holidays having such an expensive reputation, but you can avoid it with a little luck. Have any family members or friends who’ve previously gone skiing? Perhaps you’ve got a distant, long-time school acquaintance you’ve seen hitting up the slopes on social media. Suddenly you have an urge to reconnect. While you’re at it, why not ask permission to borrow some of their old gear? You’ll save yourself some serious cash if you can. 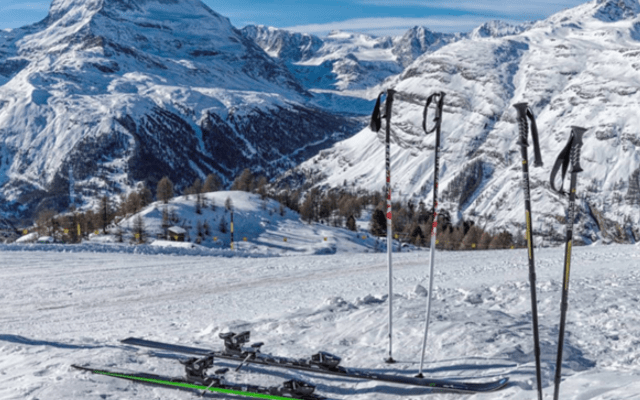 If you’re not somehow graced with a wealth of snow sporting connections, make sure to rent your equipment before you go. Resorts are likely to charge you hiked up prices compared to places back home. You may get laughed at, but who cares! You’re the one not spending ridiculous prices on a burger and chips. Buy sandwich ingredients and snacks in the local supermarket and do it yourself. But don’t sit there shivering in the snow eating your sandwich, that could be a little sad. There are plenty of resorts which have designated picnic areas. Fun fact – alcohol hits you harder at high altitudes. Which means it’s cheaper to get drunk! We all wish happy hour was much longer than an hour, unfortunately, it’s not. So you have to make sure you’re there ready waiting on the dot to get them cheap drink prices. One more insider tip, get your round in happy hour! It’s one aspect of your trip abroad that can easily be overlooked, but transfer services are an important part of getting to where you want to go. Picking the wrong service can lead to stress, wasted money and all round frustration. In order to steer clear of that general nastiness, make sure to select a service that’s top quality and cost effective. At Alps2Alps, you can choose from a huge selection of Alpine destinations and resorts, with a first class transfer service that doesn’t charge extortionately. To keep your costs down and get the very best transfer, be sure to book through Alps2Alps.